Hire a Ray Twp Well Driller or Take Care of Your Water Yourself? So many of us like to find ways to save money even if we’re not sure what we’re doing. We might mean well, but without the right experience, we could cause more harm than good. A simple problem can become bigger and, most likely, more expensive. One issue that shouldn’t be a “do it yourself” project is where your water is concerned. If your water ever tastes bad, smells bad, or has a yellow hint to it, you may be dealing with a problem that’s too big to handle on your own. There’s a chemical in water known as hydrogen sulfide that causes a “rotten egg” smell. This smell occurs when microorganisms in mud and clay try to break down material when there isn’t any oxygen. It can also be caused by corroded pipes. The smell may seem harmless, but as a gas, hydrogen sulfide can be flammable and toxic in large amounts. Noticing the smell is a sign to deal with your water issue as soon as possible. For your own sake and the sake of your family. Why Does My Water Look Yellowish or Greenish? Sometimes this issue accompanies the “rotten egg” smell. This problem happens usually when there is a high concentration of iron in the pipes. There can also be a high concentration of tannic acid which can be caused by vegetation and greenery hanging out around the pipes too much. Smells and discoloration in your water aren’t really something you can handle on your own unless you have the right equipment to take care of it. Even if a plumber were to look at your pipes, it doesn’t mean they’d be able to completely resolve the issue. When these sort of problems are happening while you’re connected to a public water source, it’s time to consider a new and more personal source. You can invest in a personal water well, but that doesn’t mean the same issues won’t happen again. However, when you have your own personal water source, a well drilling company can provide maintenance services. 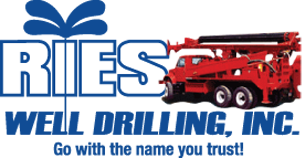 They can check up on your water supply when it’s needed or whenever you want. When your water source is linked to the municipal source, the most you can do is wait until everything is cleared up. But when you have a personal water well, a professional will come to your place and inspect the quality of your well personally. Dealing with plumbing and water wells can be dangerous and detrimental to your health. You may even risk your family’s quality of life. Using the right tools and knowledge, a professional will make sure that your water is clean and safe. The types of contaminants that can get in your water should be dealt with quickly, but also correctly. 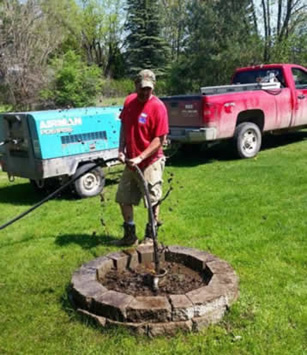 If you’re ready to have your own personal water source or need service for your existing well, contact a Ray Twp well driller like Ries Well Drilling today.